It's Mock Caldecott time again! I got my ground rules for our competition here. I also used her power point for years and have only this year made my own. If you're struggling with where to start in creating your own Mock Caldecott it's absolutely worth the $2.50! Here's my set up. I've made stations around the library and put a potential candidate at each letter. The first week of November we talk about the Caldecott and what it means. I always emphasize that the committee is looking for unique books that grab your attention. Here's my presentation. The next week we vote. I made a Google form for our ballot and am crossing my fingers and praying that our technology cooperates. Each child will bring their iPad from class and vote using the form. Here's the form with our candidates for this year. The last week (only 3 weeks typically with Thanksgiving break in there.) I announce the winners for the individual class, grade level and our school. One of my favorite things we do all year! We will include this book in our Mock Newbery Club. 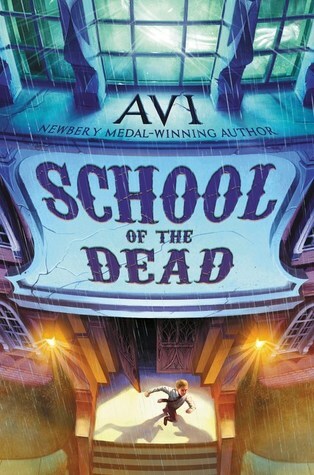 If anyone can win a Newbery with a scary book, it's Avi! Overall: 5/5--I loved this scary book! It was the perfect balance of scary and exciting. Elementary students who are not horror fans will find it too disturbing, but my scary book readers will find it thrilling. I spent a good portion of the book trying to figure out who was on Tony's side and who was out to get him. Characters: 5/5-- Loved Tony. Totally relatable. Engrossing: 5/5-- I couldn’t put it down. Appeal to kids: 5/5-- Horror is the thing! Violence: mild-- the ghosts are pursuing the kids and trying to steal their souls. There isn’t much actual physical violence just menace. 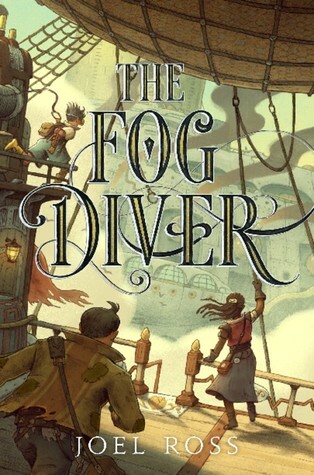 The Fog Diver is a Texas Bluebonnet Nominee for this year. We are also using it for our Quest for the Crown competition. 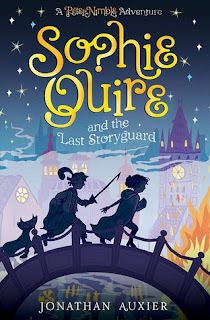 Such a fun middle grade steam punk! Our 4th and 5th graders are always wanting dystopic books and start asking for Divergent and Hunger Games. I love having books like Fog Diver in my arsenal to hand them instead. Overall: 5/5--I loved this book and its characters! Creativity: 5/5-- Loved the clever references to current pop culture. The characters are in the future when current technology has been destroyed and so they don’t understand current sayings or culture references and they are always misusing them. They also use cash as toilet paper because it is soft. It is so thought provoking about what we value and what its intrinsic value is. Engrossing: 5/5-- So great! There were times I didn’t want to put it down and do my job. Appeal to kids: 5/5-- Perfect for my kiddos looking for dystopia. Violence: mild-- The characters are slum kids and they fight adults and kids alike to stay alive. Overall: 4/5--I liked this book much more than Fitzgerald’s last one Under the Egg which I didn’t like at all. I’m glad I didn’t realize it was the same author when I picked it up. Creativity: 5/5-- I haven’t read many other stories similar. It is kind of like the movie/musical Newsies, a view of the times from the working class perspective. Characters: 3/5-- The characters are very real and believable, if not always likable. Engrossing: 5/5-- It was a fairly quick read. I had no desire to start something else while I was reading it which is a big deal sometimes! Violence: none-- a man is keeping his wife sedated and in her room throughout the book, but there is no real physical violence. Some bombs are set off in the vicinity in protest, no one is hurt. Drugs/Alcohol:mild-- Main character is 100 years old at the beginning of the book and has had cancer of the larynx because of smoking. Discussion of prohibition and whether or not it is right. There is a party scene where the main character is serving and the guests get very intoxicated. It is not glorified. 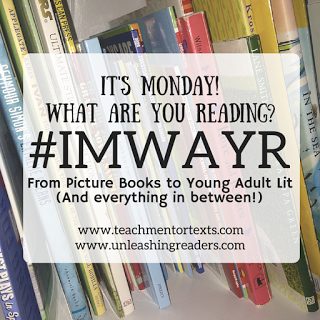 Labels: It's Monday-What are you Reading? Overall: 4/5-- A wonderful book that really left me feeling warm and satisfied. It’s so rare that I find one of those these days! Creativity: 5/5-- A story about the magic of stories and books, set in a town that feels held back by nonsense of children’s stories. They are trying to rid themselves of nonsense and are going to burn all the story books. (very Nazi-esque) Sophie is the last Storyguard and must save the stories. She encounters Peter Nimble who is the main character of Peter Nimble and his Fantastic Eyes. I didn’t read that one but I will definitely be going back to read it now. 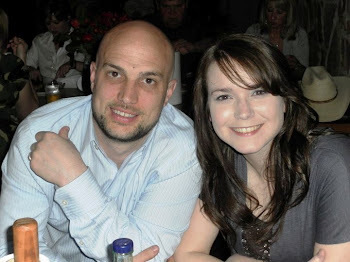 Characters: 5/5-- Sophie, who is delightful, and Peter, who I adore. Also wonderful Sir Tode and Akraisa. I could live in this book with these characters. Writing: 5/5-- clever & witty. Appeal to kids: 4/5-- This will appeal to heavy fantasy readers, but those who are very casual readers won’t be able to cut it. Appropriate length to tell the story: 5/5-- It’s a long one, but when it’s over you are so satisfied. Couldn’t be a page shorter. Violence: mild-- there are many bad guys & Peter is not a hero to back down from a fight. This leads to several fantastical battles. Bad guys die but it is all very fictional. Not disturbing. This was absolutely the break I needed after reading books like The Land of Lost Girls, The Inn Between, and We are all Made of Molecules. They were all heavy and this was light and fun. Overall: 5/5-- what a charming wonderful story about what it means to be different. 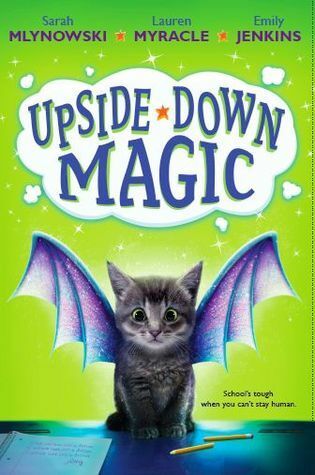 Creativity: 5/5-- kids who are having trouble with their magic are put in an Upside-down Magic class. They learn how to embrace their special skills not try to squash them to be normal. 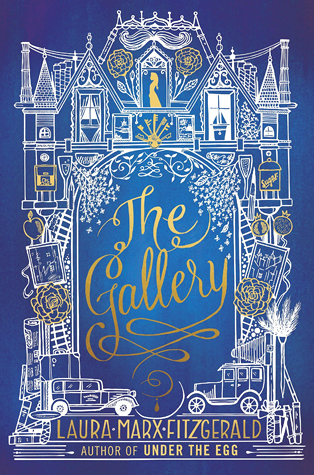 Appropriate length to tell the story: 5/5-- short and completely sweet. We all loved James Ponti's Dead City series. When I saw this I dropped everything I was reading and made this my priority. Overall: 5/5-- SO MUCH FUN! I want to read this again immediately! 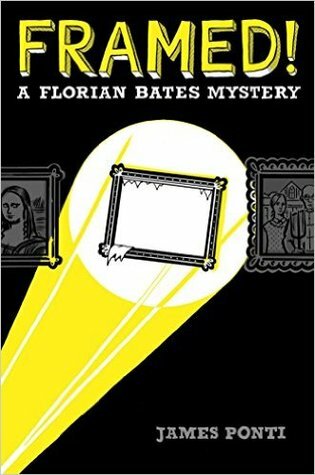 Characters: 5/5-- Florian and Margaret need to be my BFFs. I would have loved hanging out with them in middle school. Engrossing: 5/5-- You are constantly trying to find times to sneak back to this book. Appeal to kids: 5/5-- I can’t wait to tell fans of James Ponti’s Dead City books that he’s got this new one! Fans of Spy School will also really enjoy this one. Violence: mild-- Florian gets kidnapped at one point but not hurt badly and an FBI agent injures a thug at another point. Share book reviews and ratings with Jayce, and even join a book club on Goodreads.